This transferable skills seminar is intended for international doctoral and postdoc researchers, and will be conducted in Japanese with English interpretation. On this special occasion, you can watch and experience Japanese Tea Ceremony (Chado : the Way of Tea). 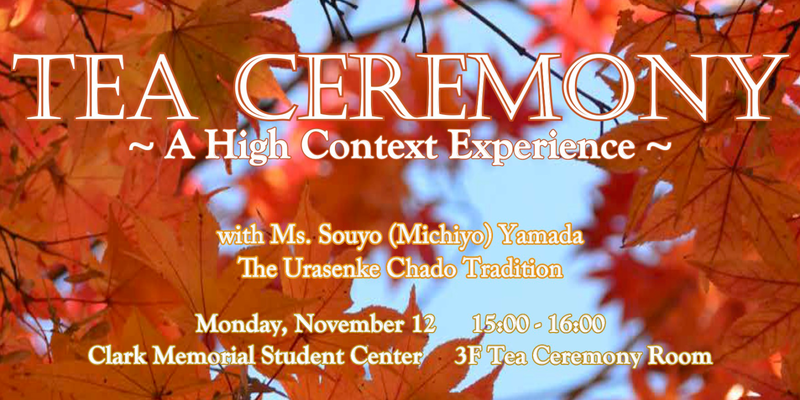 I-HoP is excited to introduce authentic Japanese tea ceremony to our international doctorates and postdocs. The main part of the event is wordless as participants will quietly observe a performance of tea serving by the master. 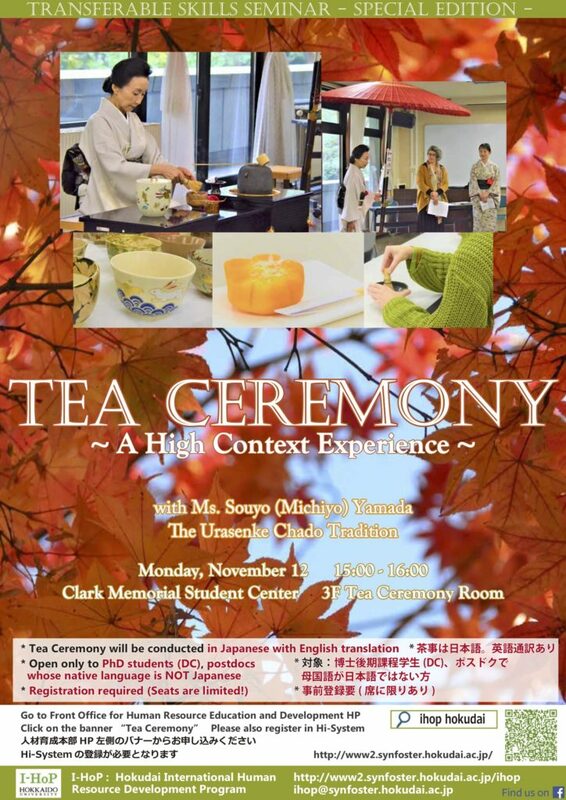 Participants will be served traditional Japanese confections and Usucha (green tea). There will even be a hands-on usucha-making experience! Seats are limited, so please register early! An Introduction to Chado can be found here. Read about the Origins and History of Chado here. Hokkaido University doctoral course students and postdocs whose native language is NOT Japanese are welcome to attend. You must be registered in the Hi-System. If you are not, please register here. Click here and scroll to the bottom of the page and click “申し込む/Apply” to register for the event. If you do not receive a confirmation e-mail within three business days after registering, please contact I-HoP.